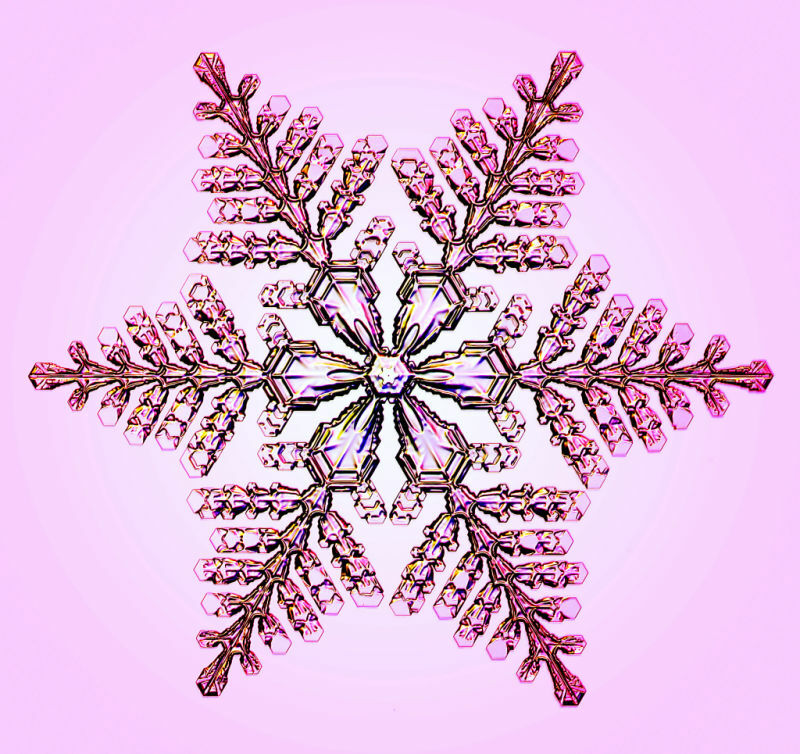 It is commonly said that no two snowflakes will be alike. But how do they differ? And just how different can they be? Fortunately, this is a question that science can answer. And as it turns out, trying to answer this question can have some pretty beautiful results. 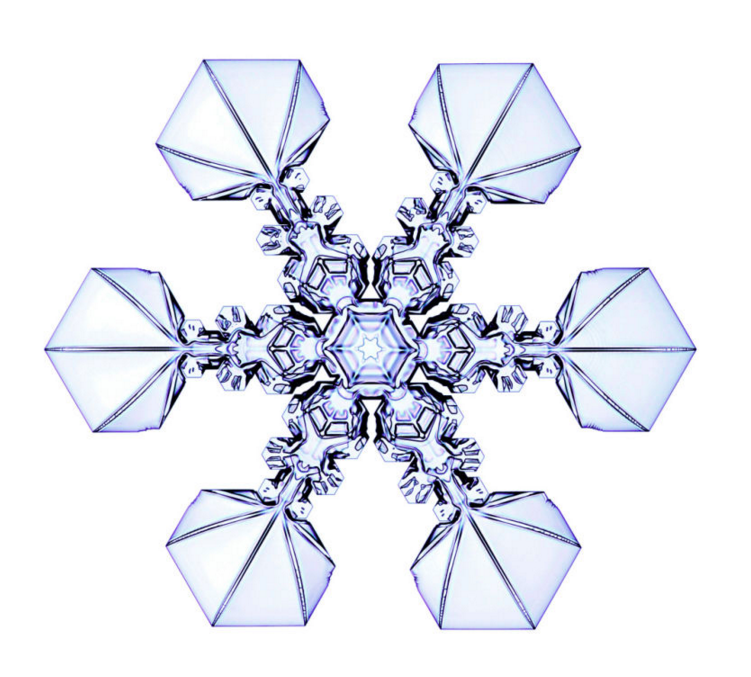 While studying how snow crystals form and grow, a Caltech physicist has managed to figure out how to make synthetic snowflakes. 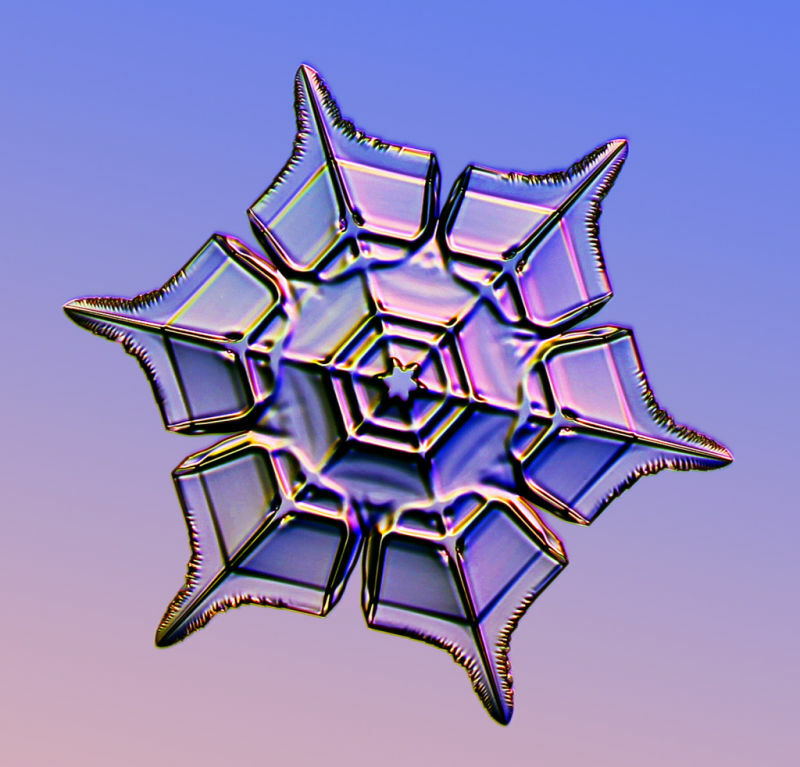 Virtually identical to natural snowflakes, the only difference is that Ken Libbrecht’s ‘designer snowflakes’ are created under controlled lab conditions. In principle, this means that anyone could create any shape they wanted within the boundaries of crystal–growing physics. 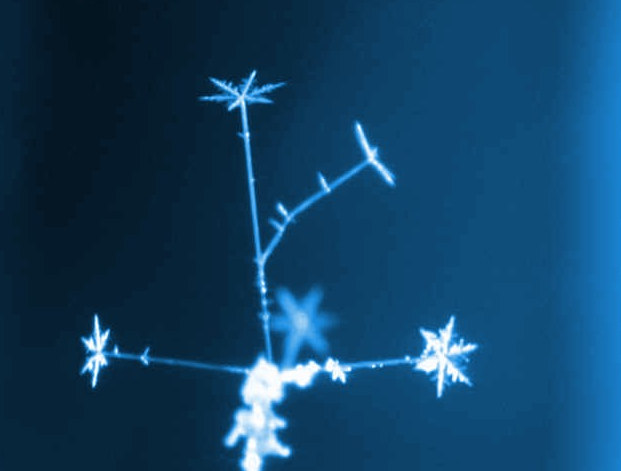 Spurred by trying to understand the natural phenomenon, Libbrecht believes that the best way to learn about snowflakes is to artificially produce them, which could allow us to better understand the processes that govern their formation and, as such, possibly learn something new about them. The complicated process of creating ‘designer snowflakes’ begin with a vapor diffusion chamber—an insulated box that maintains at least a -40 celcius bottom interior and a warm 40 degree celcius top. A source of water is then placed at the top where the water vapor diffuses through the box that then creates densely saturated air. As it passes through, the center, now full of supersaturated air, becomes an ideal environment to grow ice crystals. Using electric needles through the diffusion chamber, small ice crystals begin to form on the tip. When high voltage is applied to the wire, around +2000 volts, slender ice needles begin growing from the wire—the physicists are still studying how exactly it is able to produce the ice crystals, but he theorizes that it’s because of an electrically induced growth instability. 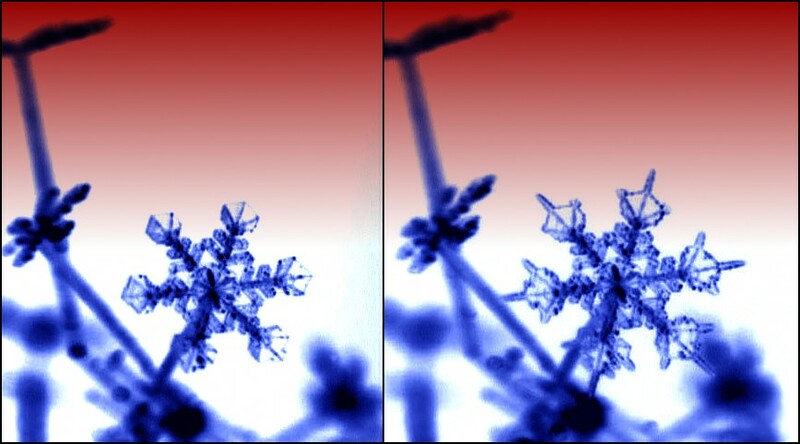 Since the discovery, the physicist has managed to created incredible images of his synthetic snowflakes, captured in high definition using a digital camera attached to a microscope.